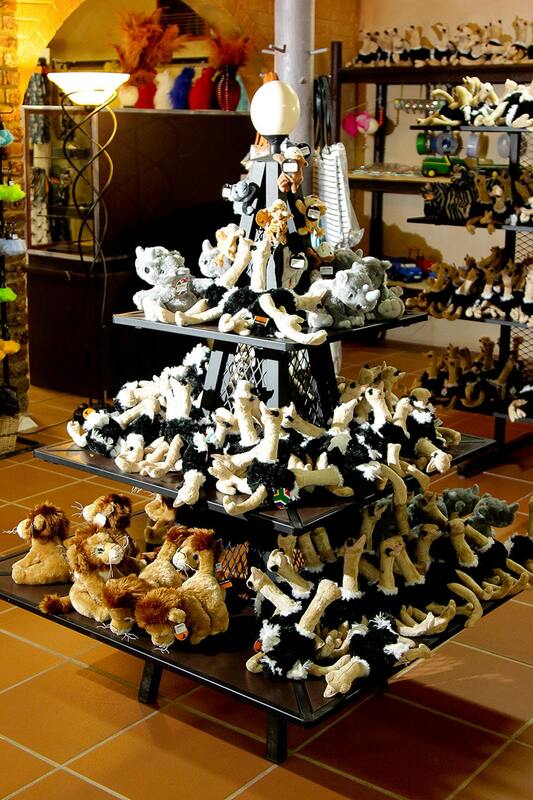 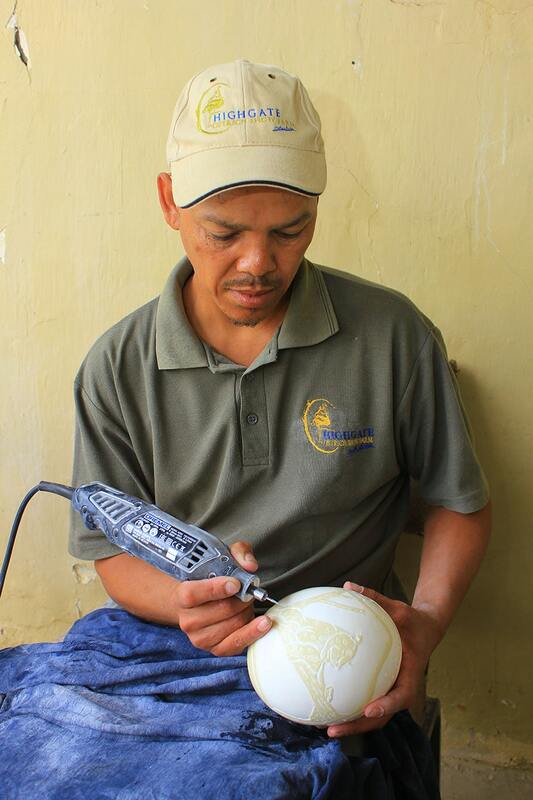 Catch your breath and visit our shop selling only genuine, South African-made products, many of which are produced by our skilled staff on the farm using our own resources. 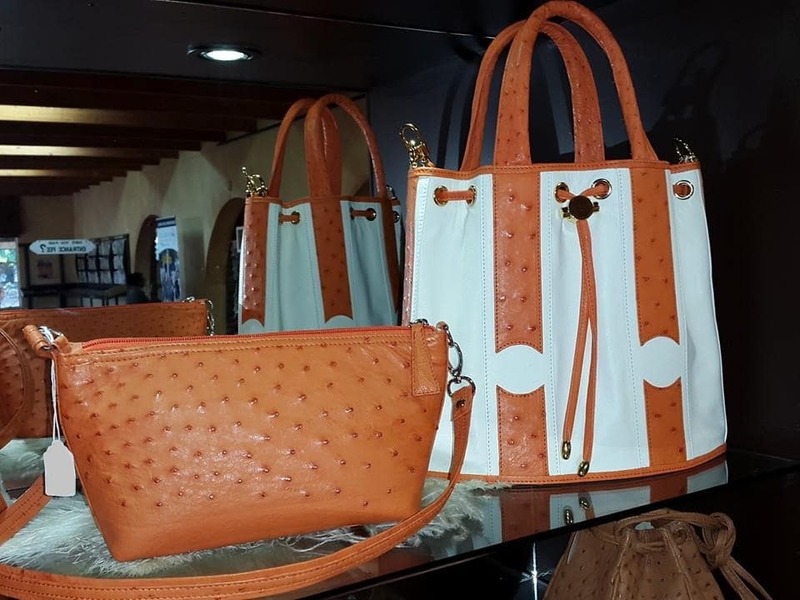 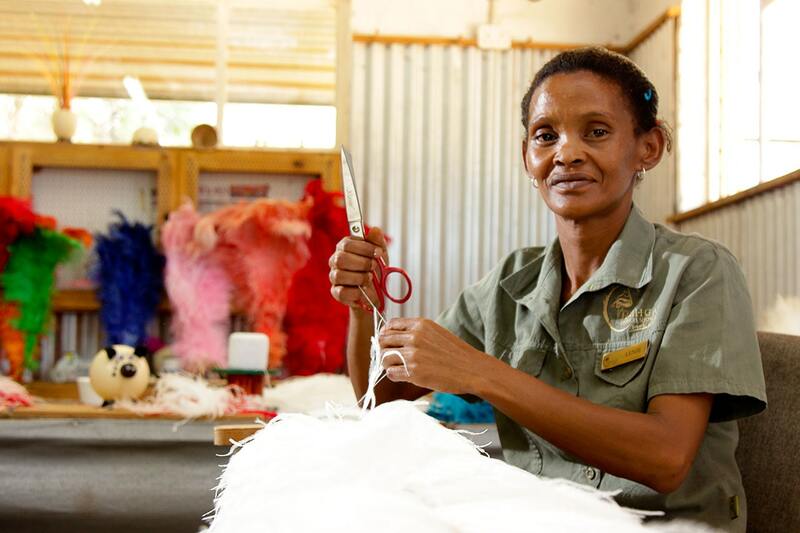 From beautiful decoupage ostrich eggs to delicate ostrich leather products, fashionable clothing and the ubiquitous ostrich feather dusters, they are all made with skill and love by our people who take pride in their crafts. 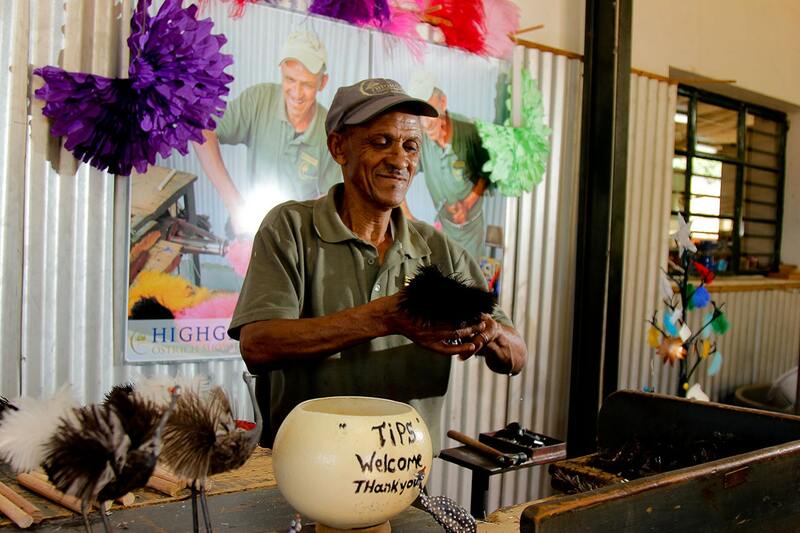 Also available is a specially selected range of regional wines, olives and snacks. 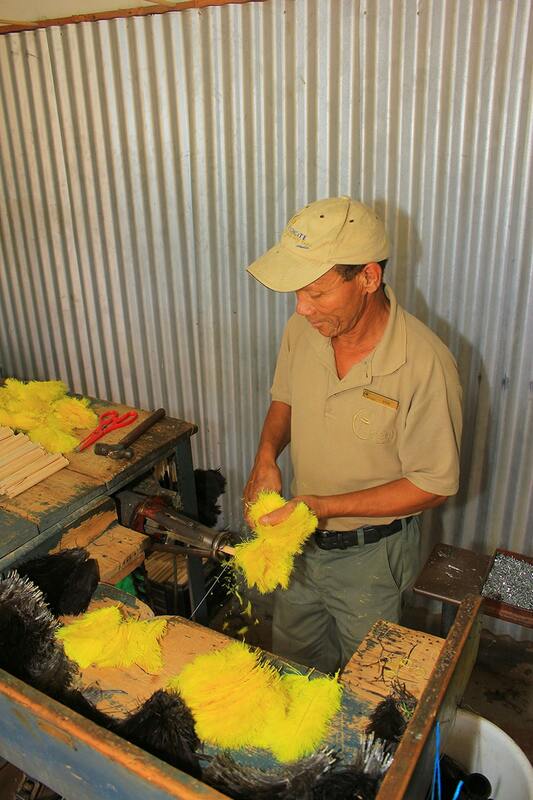 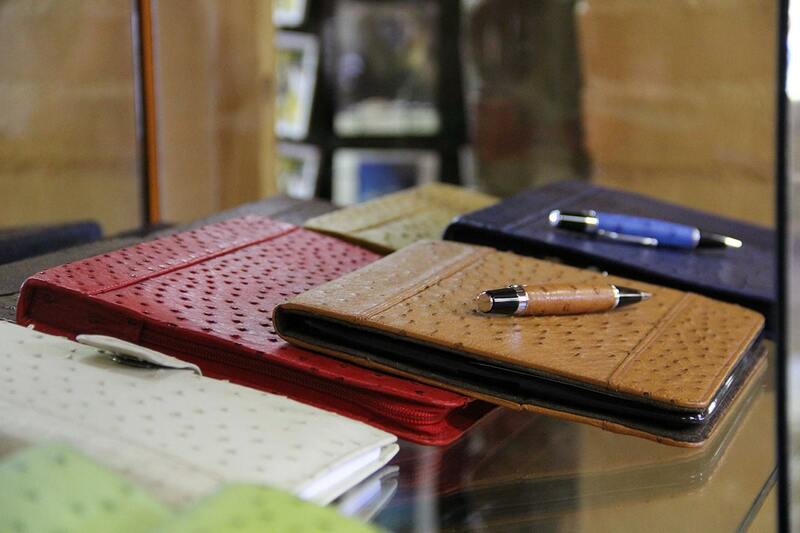 We offer a range of Ostrich-related products, including eggs, leather products, etchings, and feather dusters.